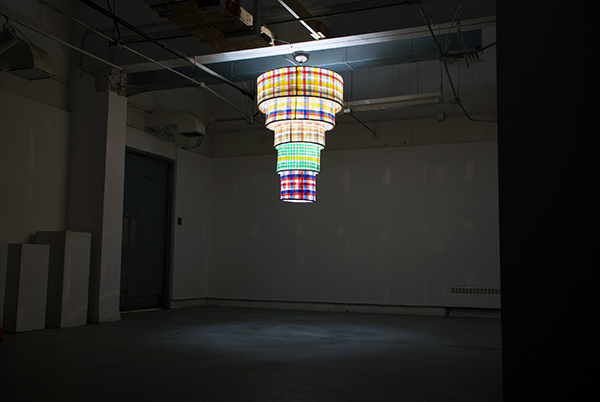 High Life, 2014, Lawnchair webbing, steel, lighting fixtures, 60x40x40 in. 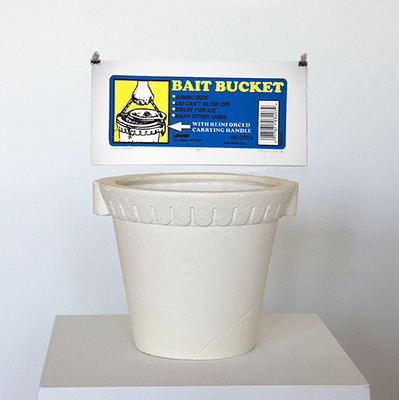 Bait Bucket, 2014, Porcelain, glaze, 13x9x10 in. 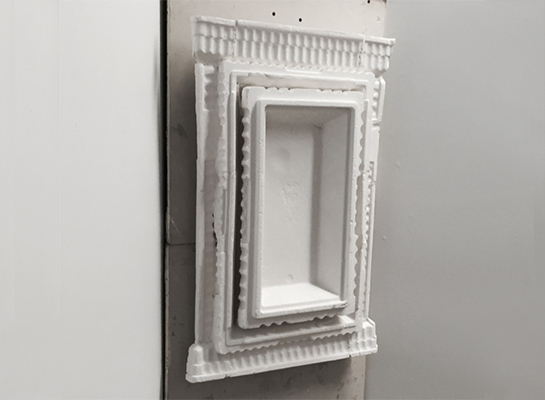 Print, 16x8 in.